This side dish for Thanksgiving couldn't be easier. It's also delicious and makes for a beautiful rustic presentation for your dinner table. The hardest part about making this dish is cutting the squash and Mother Nature makes that simple for you too by providing you with predefined ridges on the surface. Acorn squash is my favorite winter squash because of its sweet yellow-orange flesh. And by roasting it and tossing it with maple syrup it makes it absolutely irresistible. In a large bowl toss squash with cinnamon, 2 tbsp olive oil, 2 tbsp maple syrup and salt and pepper. Divide squash between two sheet trays and bake in the oven for about 10-15 minutes, rotating trays and turning over squash half way through the cooking process until soft, caramelized and golden brown. Remove from oven and place on serving platter and drizzle with sage oil, 2 tbsp maple syrup and crumbled fried sage leaves. In a small sauce pan, heat oil on medium, add sage leaves and cook for about 1 minute until crispy, turning over once. Remove from pan and drain on a paper towel and sprinkle with a little salt. 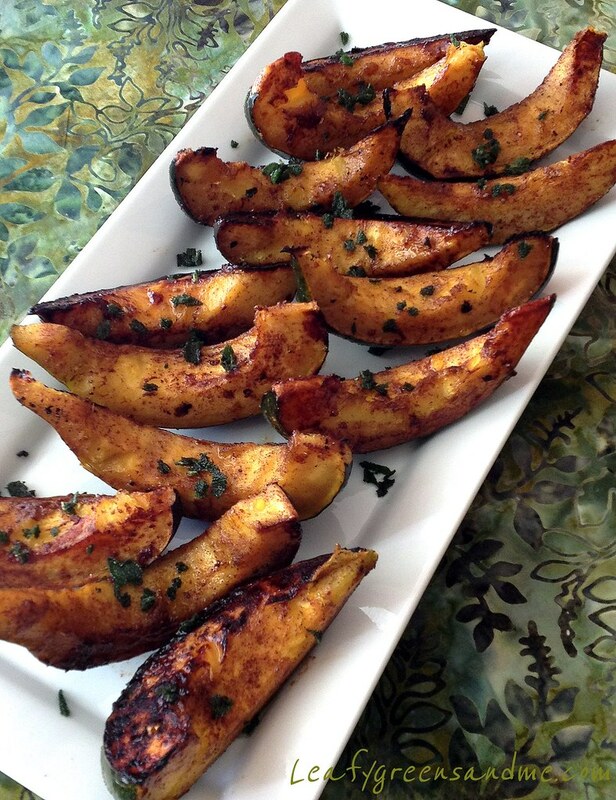 Pour sage oil over roasted squash and garnish with minced fried sage leaves.